Why would I need self storage in City Of Industry, CA? There are a variety of reasons why you might need self-storage in City Of Industry, CA. How much is a storage unit in City Of Industry, CA? The cheapest storage unit in City Of Industry, CA is $61.00 per month. What size storage units do you have available in City Of Industry, CA? In City Of Industry, CA we have sizes that range from 3'x4' to 10'x22' to suit your storage needs. How much is it for a 3'x4' storage unit in City Of Industry, CA? The cheapest 3'x4' storage unit in City Of Industry, CA is $61.00 per month. Located just 20 miles east of Los Angeles, City of Industry is a primarily industrial and commercial community in the San Gabriel Valley. Though the city was incorporated in 1957, it has a population of just a few hundred people, as the area's concentration is on business rather than residential development. City of Industry spans 12 square miles, all connected by transit links. It also offers top-notch health care services and quick access to four freeways, which makes doing business with the city's numerous industries easy. City of Industry is home to thousands of businesses that provide countless jobs to residents of the surrounding areas. Among the businesses are retail, food and beverage, trade, manufacturing and professional services companies. The largest employer in City of Industry is retailer Torrid, which maintains its headquarters here. Other businesses, such as food service company Lee Kum Kee, also have headquarters in City of Industry. If you're planning to join the job market, there are plenty of jobs to be found here. Despite the fact that City of Industry is mainly zoned for industry, there are still a handful of local landmarks worth exploring. The Workman and Temple Homestead Museum is the site of a historic house and garden exhibiting the 19th and 20th century architecture of the area. You can also learn about the Workman-Temple family, who were influential figures in the city's history. The Puente Hills Mall and several other businesses in the area are attractions of a different sort. 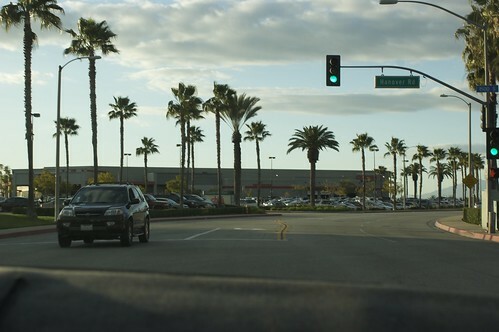 If you're a movie buff, you may notice the mall and the nearby SpeedZone entertainment center, because both were featured heavily in several well-known Hollywood films. City of Industry is also the site of Vineland Drive-In, one of only two operating drive-in movie theaters in the Los Angeles area. A few different districts manage City of Industry public schools. You'll also find a few preschool and private school options in and around the city. Utilities: The city's Public Utilities Commission is the local power provider, and several different water providers serve the city. Garbage and Recycling: Valley Vista Services facilitates all disposal services in the city. You can set up your service using their online system. Transportation: The city is a hub of transportation, and you'll find plenty of public transit options. The Metropolitan Transit Authority, Foothill Transit and Metrolink provide bus and commuter rail services in and around the city. New residents will typically find the city's most expensive housing on the west side and more affordable housing options on the east side. A large percentage of people in the city rent rather than own, due in part to the extremely high median home price. Housing options are limited, because most of the city is zoned for industry and commercial businesses. Our lowest priced units in City Of Industry, CA average $68.50 per month. 56 people have reserved units in City Of Industry, CA in the past 30 days. There are 2 locations within City Of Industry, CA's city limits.